Shop Handmade UK: New Gift Boxes On Sale! I've just added 6 new gift boxes to the Shop Handmade UK Folksy store. These new boxes are very affordable with 5 under £20 and 1 under £25 and they still have the same generous 45% designers discount. 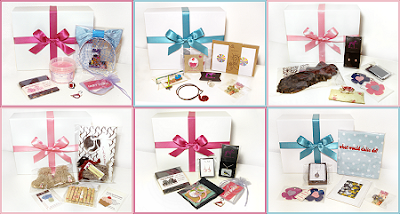 Here's a peek at the new boxes, to view them all and what's included visit the Gift Box page. Brilliant share - there is such a groundswell of support for handmade at your local markets.